There's no getting around it: it's cold. 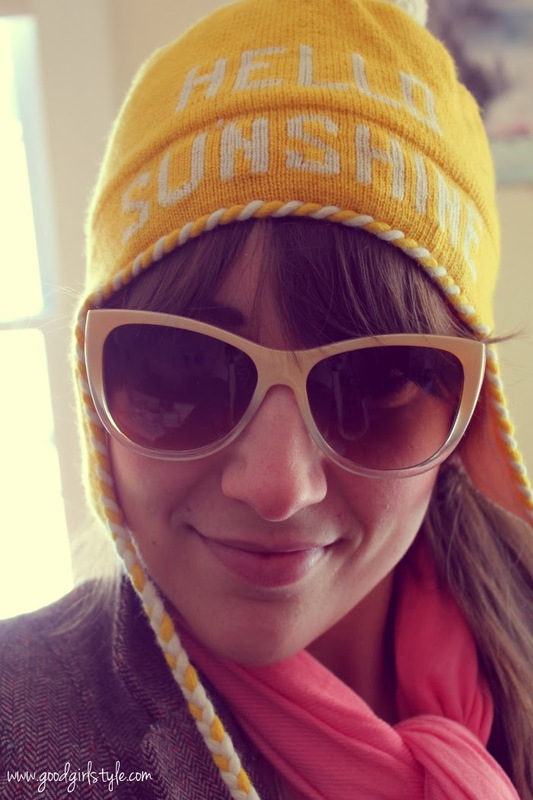 But the sun has been shining, so it was the perfect time to bust out my Hello Sunshine Kate Spade hat. So cheerful! I adore it. It pulls out the yellow in my favorite winter handbag just perfectly. Had to include a dorky picture because that's how I roll. Also, yes, that is my fake-fur coffee sleeve on Starbucks (and there IS hot tea in that cup, which I'm about to spill in all of these photos!). 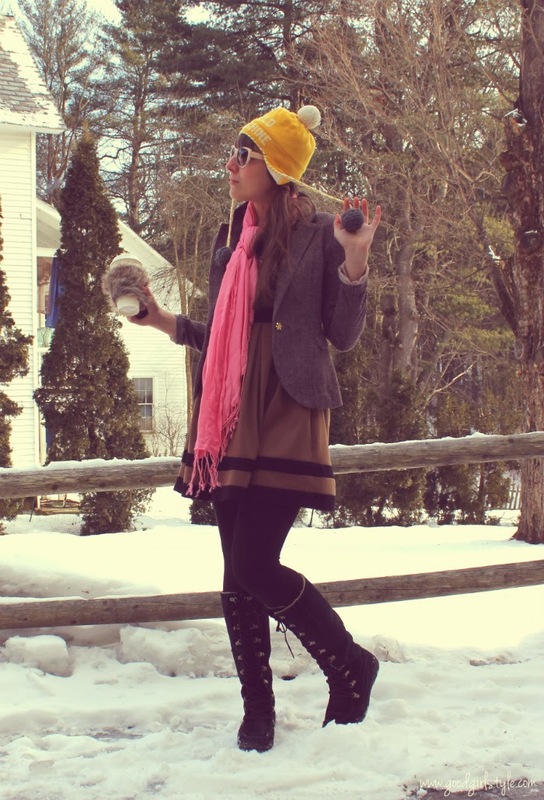 In my popular posts about how to wear skirts & tights in winter (Vol. 1 and Vol. 2...that's also a solid look back at how my style has evolved! ), I note that simply waiting for the sun to come out makes wearing a dress feel much more do-able. I love a sunny winter day! So good for the spirit. I love the boots! you've got a great style, and I look forward to being inspired by your style and your story through (in)courage these next few weeks!